3 Beds 3 Baths 1 Partial Bath 1,868 Sq. ft. Fantastic location and fantastic price! This three bedroom, two living area condominium has it all. Huge BASEMENT perfect for a media room, office, or playroom! Living room features rich laminate floors with wood burning fireplace. Kitchen has ceramic tile floors, granite counters and glass backsplash. Three bedrooms and two full baths up. Private fenced patio perfect for entertaining. Basement features massive storage closet and oversized laundry room. Recent paint downstairs.NEST Thermostat. 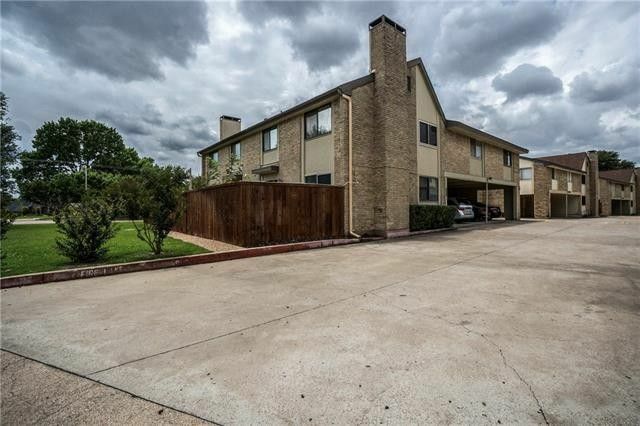 Great location close to major shopping,grocery stores restaurants with easy access to George Bush or Central. Community pool too! Fridge, washer and dryer to stay!